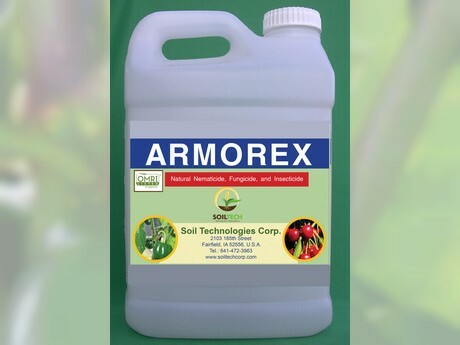 Armorex is an O.M.R.I listed biochemical formulation that is used as a spray treatment to kill and control insects, pathogenic nematodes and fungus. Armorex is an E.P.A. exempt minimum-risk pesticide and it has no re-entry restriction. The product is registered in Colorado and is approved by OneCert. Tests on hemp infested with russet-mites, showed that Armorex is an effective control for these damaging pests. Where Armorex was applied, growers reported that the mite damage stopped within 2-3 days and later assays showed zero live mites. According to Steve Nichols, Executive VP with SoilTech, russet mites are quite pervasive on hemp and cannabis grown indoors. "Armorex also controls the indoor pests of spider mites, thrips, and aphids. Armorex is effective on all these indoor pests but this article is focusing on tests done on the growing of hemp in Colorado where russet mites are a very big problem. 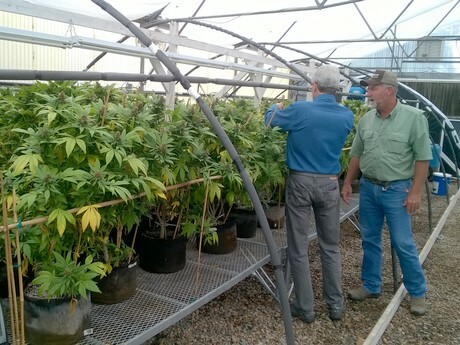 Hemp production in the Western USA is expanding very rapidly for CBD oil production and control of these pests is big news since there are few other effective controls available to growers." Armorex is a blend of essential plant oils that are highly toxic to insects, fungi, and nematodes. Armorex contains extracts of sesame, clove, sunflower oils, and other essential oils, all of which are effective insect suppressants. Armorex is used as a curative or preventative treatment. "In the USA, Armorex is an EPA exempt formula under the 25b section of FIFRA", Steve explains. "So in the USA each state will have different requirements for these products. Armorex is approved for sale in Colorado (where these tests took place) and is listed for use in organic agriculture by the Organic Materials Review Institute (OMRI) and is approved by OneCert. Armorex can be sold in approximately 25 states in the USA and it is also available through distributors in about 10-12 other countries." The Armorex label includes treatment uses on hemp, turf and ornamentals, vegetables, fruits, vineyards, nuts, and nursery crops. Armorex is also approved for use on greenhouse crops. Please check the Soil Technologies website for application details.